One of the first things you should do is learn how to give a proper Cambodian hello. 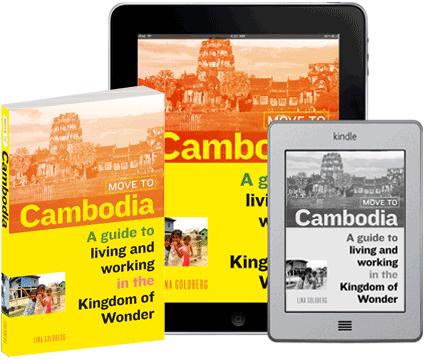 In Cambodia social interactions are usually governed by centuries-old traditions of respect and hierarchy that may not be immediately obvious to the average expat. This is evident every time Cambodians greet you or each other. 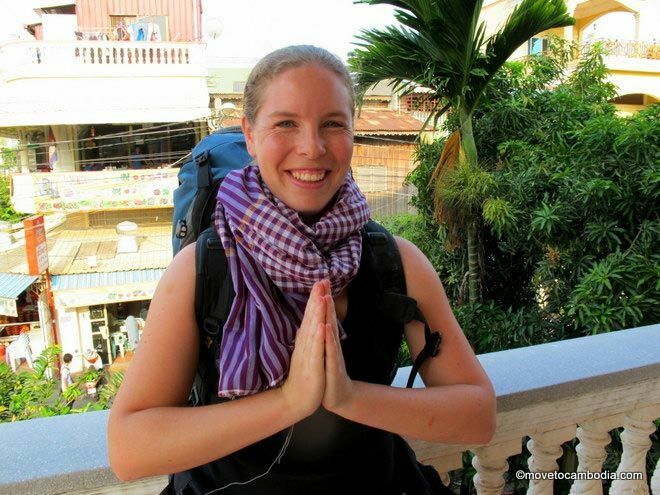 Learn how to say hello in Cambodia using the traditional sampeah. The traditional Cambodian way to say hello and good-bye is to place the hands together, with the palms touching (a posture Westerners often associate with praying), and bow the head. Similar to the Thai wai, this is called the sampeah, and it is how Cambodians greet one another, particularly for the first time. The formal greeting in Khmer is “Choum reap sor” and should be said while sampeahing. (The more informal “Susaday” is reserved for casual situations and does not involve a sampeah.) “Choum reap lear” is the formal good-bye. Where you place the sampeah in front of your body depends on the age and relationship of the person you are greeting. The higher your sampeah, and the lower your bow, the more respect you are showing. When you greet people of the same age and social standing as yourself, put your hands together in front of your chest and bob your head. When you greet your boss, older people, or those to whom you would like to show respect, your sampeah should be positioned so that your fingertips are just below your mouth. Parents, older relatives, and teachers should be greeted with the sampeah at nose level. 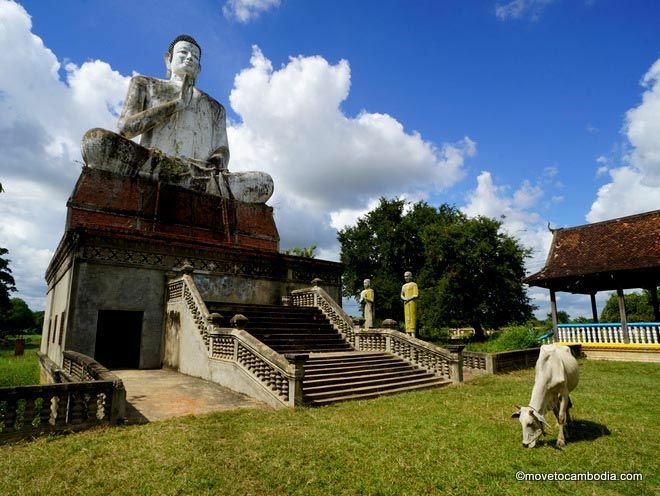 Eyebrow-level sampeahs are reserved for monks and the king, and forehead-level sampeahs are exclusively for prayer, sacred sites, and temple worship. Many foreigners, in an attempt to be polite, overenthusiastically sampeah, offering monk-level greetings to waitresses at local restaurants. This can actually be seen to cause a loss of face, so make sure you keep your sampeahs at appropriate levels. Traditionally, Cambodians do not sampeah to children, street vendors, and beggars; in these cases the polite response to a greeting is to do no more than nod and smile.